If you are in the process of looking for a new or pre-owned vehicle, you have probably tried to read the vehicle’s window sticker, wondering what all of that information means. Now, do not be fooled, most of it is self-explanatory, but sometimes, with everything piled onto that one sticker, it can get a bit confusing. So, how exactly do you go about reading them you ask? Well, we have compiled a few tips to help you easily read those vehicle window stickers. What Information Takes Up Most Of The Sticker? The largest portion of the sticker is dedicated to standard features, equipment, and packages. Most automakers will list several items that the vehicle includes as standard, which even incorporates obvious ones like tires, windshield, seat belts, etc. A typical sticker lists the package (or trim) of the vehicle first, followed by the stand-alone options listed directly below. Pricing is usually placed to the right of the package name, and the total cost is calculated right underneath! If you find yourself struggling to determine pricing, our finance center can help you figure out the best way to go about a price. 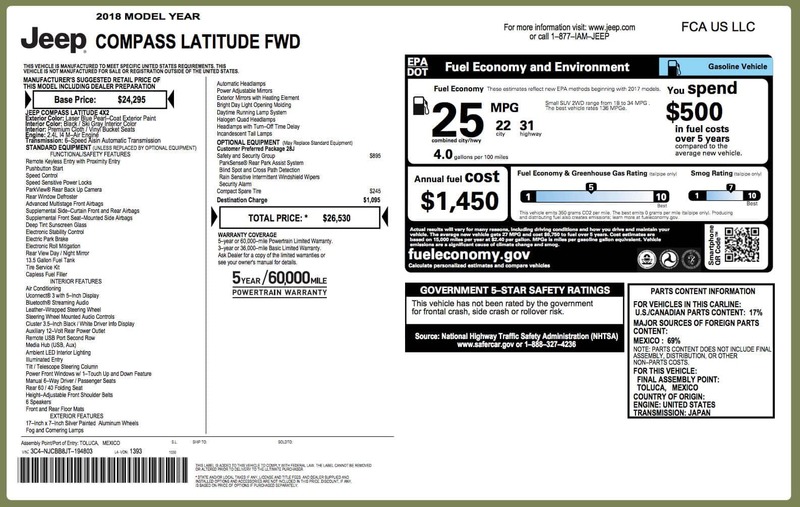 The fuel economy label is always present on a vehicle window sticker. The EPA label (which is a term also used to reference fuel economy) provides you with estimates pertaining to the vehicle’s fuel efficiency. This piece of information helps you compare the MPG numbers on the car you are looking at, versus another. The most important figure to look for is the combined MPG, which is a weighted average of the city and highway MPG values. It’s pretty obvious that when you are looking at a vehicle, the safety ratings are one of the main things you want to know and be able to access quickly. The federal government’s National Highway Traffic Safety Administration rates vehicles in frontal, side, and rollover categories, and all are displayed on a window sticker. Above those ratings are the vehicle’s overall rating; which comes to an average of all three of the categories listed above. This part of the sticker primarily tells you precisely how much of the vehicle’s content comes from the U.S. It will also showcase the country of origin for most of the parts if it is not the U.S. It will also list where the vehicle was assembled, which is particularly helpful for shoppers looking for an American-made car. There are those moments where you may encounter different sticker prices when you are looking at the same vehicle. This more specifically comes into play for us when you are looking through our RAM inventory. Now even though two vehicles can be the same year, brand and model, they could be different packages (trims) and offer different features – which can alter the price. To further explain, the option prices are based on the standard equipment for the trim level. If you are looking at two vehicles with different trim levels, the same option can have a different price. Say a model you are looking at had an option for two-tone leather seats. If trim “A” includes standard cloth seats and trim “B” includes standard leather seats and you want to upgrade to two-tone leather seats, the option will cost more on trim “A”. This is because you are upgrading to leather seats AND two-tone leather seats. So instead of just originally paying a little more for trim “B” (for already having standard leather seats), you end up paying more in trim “A” because you are upgrading on a trim level, as well as a feature. Overall, the most important thing to remember is to not get stressed when it comes to inspecting the stickers and analyzing the prices. Keep an open mind and be sure to read all the information slowly and carefully. 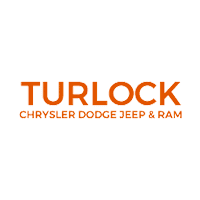 Looking for a new vehicle should be fun, and the more you know, the easier it will be to find your perfect match.